Attention: This only comes with the PCBs and the panel! Does not come with any other items. 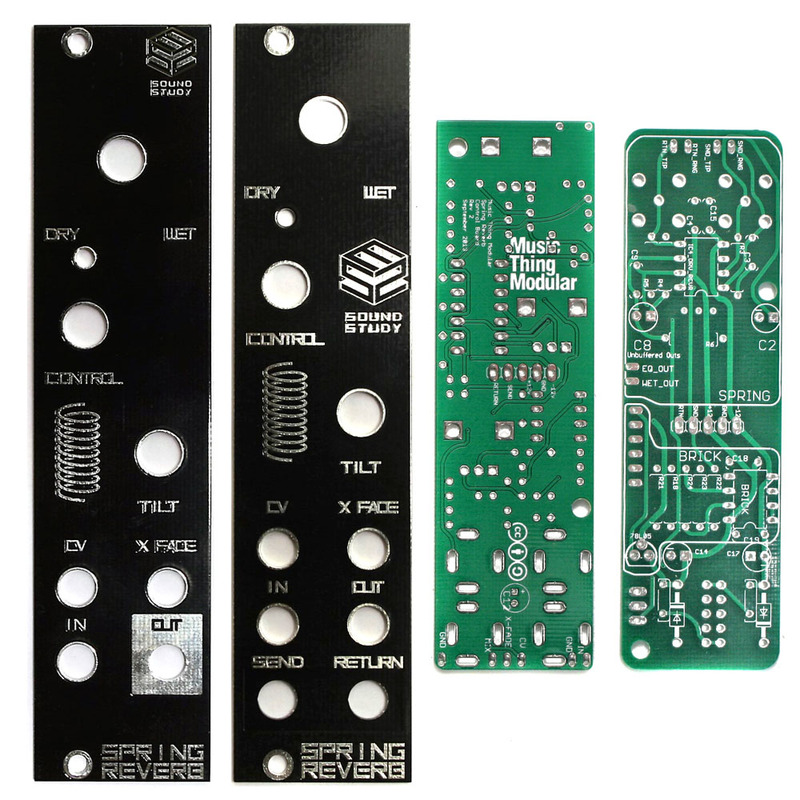 The Spring Reverb is a flexible, easy-to-build voltage controlled DIY mono spring reverb module. Traditional guitar reverbs are tuned to the sound of the guitar and the amplifier it is played through. This circuit is different; designed to be relatively clean and high-fi, with a lot of bass response. It can also be abused and driven into (externally patched) feedback.